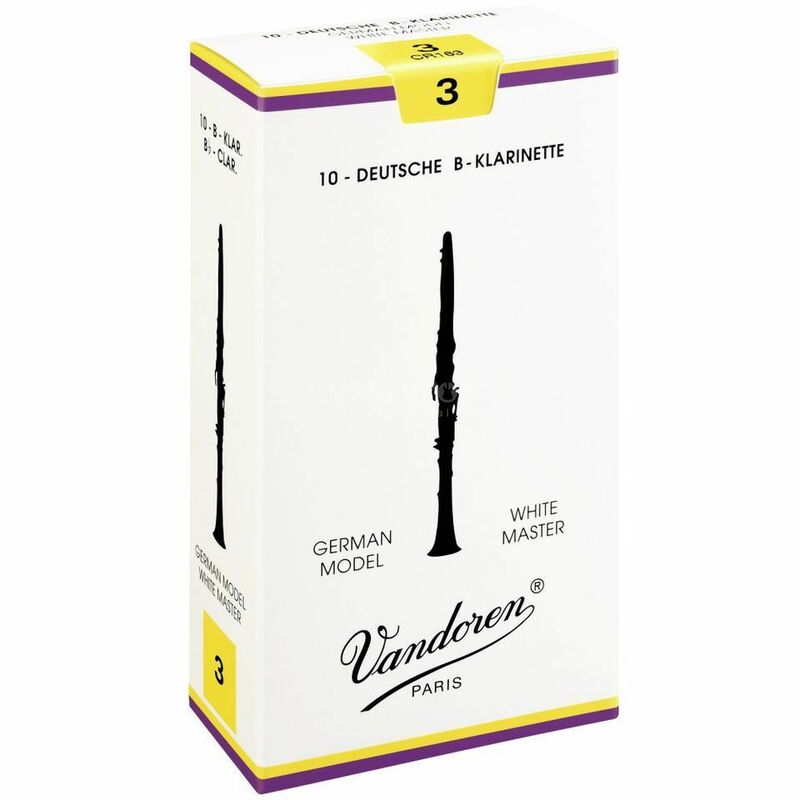 The Vandoren White Master Traditional Clarinet Reeds 3 is a box of 10 Bb clarinet reeds, with a strength of 3, and are made from bamboo. The White Master series reeds care for a warm and balanced sound over the whole tone range. They are especially usable for classical music like playing in an orchestra or as a soloist. Every reed is single and airtight wrapped up to ensure a high quality after a long period of storage.